President-elect Donald Trump’s campaign promise to not “let Wall Street get away with murder” may have suffered a setback this week. 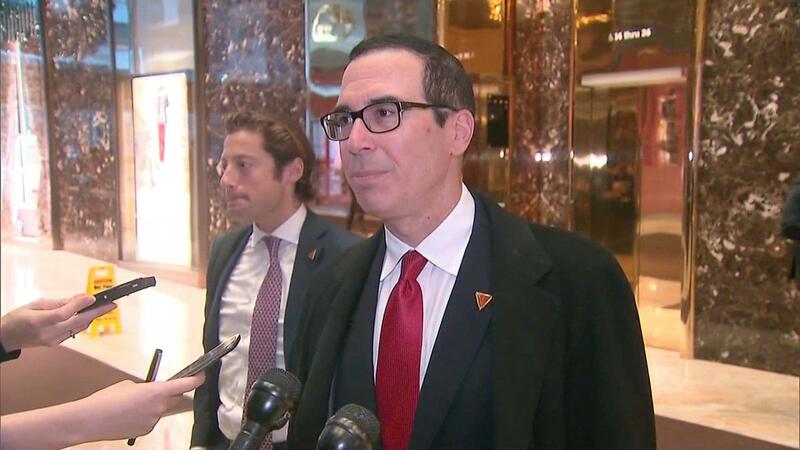 Goldman Sachs veteran and Hollywood investor Steven Mnuchin confirmed to CNBC Wednesday that Trump will nominate him as treasury secretary. Mnuchin has already that he would reconsider portions of the Dodd-Frank banking regulation act as treasury secretary, but he could face some hurdles in his Senate confirmation before he gets there. 2. Mnuchin has spent recent years investing in Hollywood. He has bought into a Dreamworks film library and the production of some 20th Century Fox films, including the box office record-setting Avatar. 3. He joined the Trump campaign in April, when he became its national finance chairman. Despite his lack of any political experience, Mnuchin negotiated a deal with the Republican National Committee, by which the committee would do most of the work to fundraise for Trump but then be able to keep much of the money raised for the Republican nominee. 5. The treasury secretary nominee attended his father’s alma mater Yale, where he became publisher of the Yale Daily News and a member of the elite secret society Skull and Bones. 6. Mnuchin has previously donated to Democratic candidates, including Hillary Clinton and Barack Obama, but he has said that those contributions were largely favors to fundraising friends. 22 min 3 sec ago. 23 min 18 sec ago. 27 min 22 sec ago. 37 min 57 sec ago.